The UK's Home Office created a short video explaining how to use the EU Exit: ID Document Check app. UK Home Secretary Sajid Javid at the end of March announced the government's Brexit app will work with iPhone by the end of 2019, reports The Guardian. "I've had numerous conversations with Apple at the highest levels to ensure everyone can use the app," Javid said. "Together we've been working hard to find a solution that will allow the app to work on their devices. I'm pleased to confirm that Apple will be making the necessary changes and the app will be working on their mobile and tablet devices by the end of the year." The Brexit app is at its core a registration system for the estimated 3.5 million EU citizens who live in the UK. Those who wish to stay after Brexit can apply for "settled status" through the app, first presented last year by the UK's Home Office. 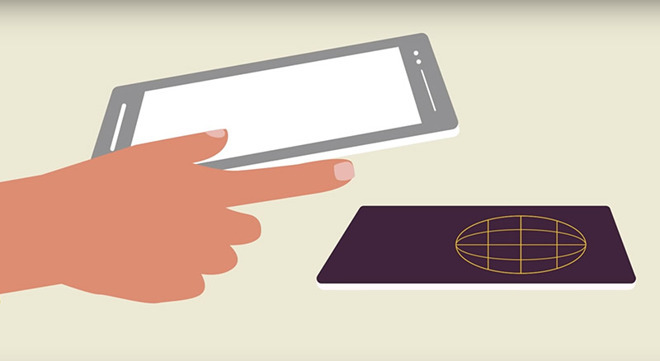 As noted by NFC World, which detailed the EU Exit: ID Document Check app and its capabilities on Tuesday, EU citizens can remotely verify their identity by taking a selfie for facial recognition processing and scanning the security chip embedded in their passport. Due to Apple's strict NFC policies, the app is currently unable to retrieve information from passport chips, meaning users cannot be positively identified on iOS. Incompatibility with iPhone was a noted issue when the Home Office first announced the project in 2018. In November, the UK government blamed Apple for the app's problems, citing the company's refusal to open iPhone's NFC functionality for passport chip scanning. "Our EU Settlement Scheme is now up and running and after a successful launch, over 280,000 EU citizens have applied so that they can continue to live their lives as they do now," David said, as reported by NFC World.